The War on Christmas: It started 100 years ago, with the SPUGs. The short, glorious history of the Society for the Prevention of Useless Giving. It’s war out there … and has been for a while now. In 2012, Paul Collins wrote about the fascinating history of the Society for the Prevention of Useless Giving. The article is reprinted below. Tell me, do you spend too much money during the holiday season? Do you drive yourself into tens of dollars of debt with the purchase of mere gimcracks and geegaws? Also, are you an upstanding lady ready to angrily shake your umbrella? Then, gentle reader, you are a SPUG—or once would have been. This year marks the 100th anniversary of the founding of the Society for the Prevention of Useless Giving, a lost player in the history of political progressivism. Now largely buried in century-old newspapers, theirs is a heartwarming story that puts War back into the War on Christmas. SPUG started with a bang at the Nov. 14, 1912 meeting of the Working Girls’ Vacation Fund. Founded a year earlier to help Manhattan shop clerks set aside a little money each week, the fund had quickly grown to 6,000 members, with savings of $30,000. But those savings faced a jolly nemesis: Christmas. Sapped by the extravagant gifts that female department store clerks were pressured into giving supervisors—often to the tune of two week’s worth of wages—the fund’s members took action. “Start the Spug Club!” a woman yelled from the crowd, and as Belmont descended from the stage to the rousing tune of “Alexander’s Ragtime Band,” a new organization had begun. Arranged in “Spug Squads” of at least five members each—enough to stand up to a shift supervisor—they were to wear distinctive white buttons bearing a festive holly spray around the word SPUG. One thousand women signed up on the spot. 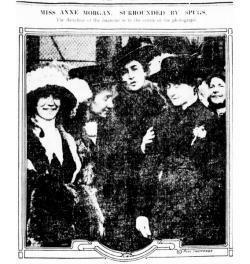 Anne Morgan (center) and Spugs in the New York Tribune, 1913. “BE A SPUG AND STOP FOOLISH XMAS GIVING” the New York Times announced the next day. 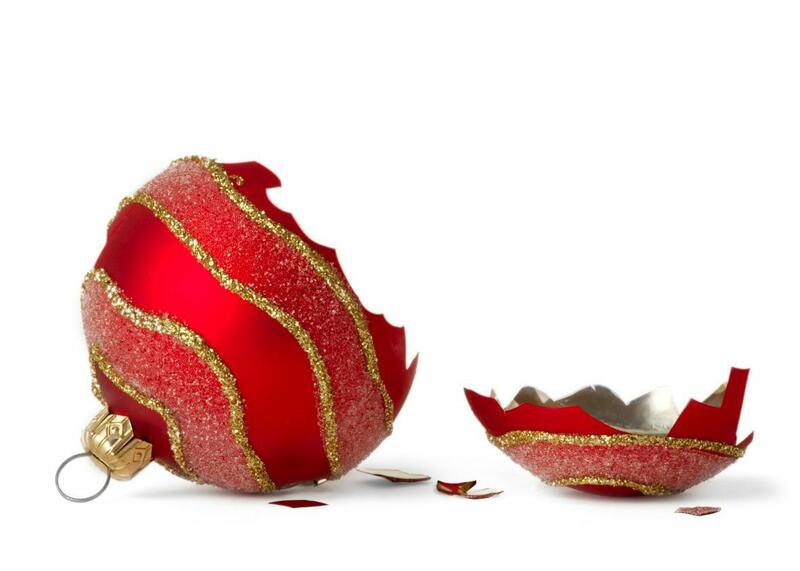 The society’s objection was not to Christmas, its founders explained, but to what it had become—a cause that found widespread sympathy in newspapers across the country. In return for the 10-cent dues pouring into headquarters at 105 West 40th Street, women received buttons and a membership card with the society’s credo—“the group can accomplish what the individual cannot”—along with a space for their name and squad number. This time they boasted even more advocates, including the quiet support of some chastened department store owners. New York’s district attorney spoke to a SPUG assembly of 1,200 as part of a “War on Christmas Graft,” and muckraking journalist Ida Tarbell lauded the fight against “the vulgar habit of giving where when gifts are but a kind of bribe.” At a Washington, D.C. rally that made front-page news, the president’s daughter Margaret Wilson pointedly joined SPUG leaders onstage. Yet cracks in the movement were beginning to appear. Advertisers used Spug sales and “Spug Directories” to sell everything from hats to magazine subscriptions, and some seemed determined to turn the movement’s anti-commercial and feminist origins on its head. One Montana clothing store announced, “The Whole Meaning of the Word SPUG—Not to Spend Less for Christmas, But to Spend Wisely.” Not be outdone, a Washington, D.C. retailer published a “New S.P.U.G. Notice to the Men” urging them “to give their loved ones Christmas money now”—preferably to buy their latest line of corsets. The clearest sign of change came in the form of their famous name: To emphasize a spirit of true generosity, it was decided that SPUG now stood for the gentler-sounding Society for the Promotion of Useful Giving. Members were urged to join a Washington-area drive to help needy families; in New York, they announced plans for a grand but useful Christmas party on Park Avenue, marked by the rather heart-rending headline “Will Make Useful Presents to Every Lonely Person Who Comes.” Some 13,000 New Yorkers showed up for bags of candy, a 40-foot Christmas tree donated by the state of Maine, and a dance floor emceed by one of the most dedicated of local Spugs, the city coroner. Though one Ohio newspaper purported to explain “Spugs—Why They are Not Popular,” an adjacent headline probably explained it better: “IF GERMANY WINS THIS WAR.” After the start of World War I in August 1914, Anne Morgan threw herself into relief efforts for France; and with co-founder Eleanor Belmont already drifting from the group even before the war, the mighty movement slipped back into the humble women’s savings fund it had sprung from. Ironically, Spug sales outlasted the society itself. For a few years advertisers still hawked shoes for Spugs, and Oregon Gas & Electric used a “SPUGS DAY” ad to sell gas ranges. But then even those reminders vanished; today the old SPUG headquarters in midtown Manhattan is a wine bar. Perhaps their efforts were not entirely for naught. A revival of the Victorian fad for Christmas cards came in their wake, so that instead of giving every single acquaintance a gift, Americans sent a cheap, cheerful, mass-produced expression of goodwill. (Or at least they did until Facebook killed cards off once again.) But while we’re no longer badgered by our shift bosses for presents, the financial drain of holiday giving remains all too familiar. A hundred years on, besieged by status updates and credit card statements, some may come to long for those plucky Spug Squads to rise again.